Driving along today a thought popped into my head, as they so often do. Pimps are like vultures. Vultures devour flesh from discarded animals… the animals that are already beaten down and dead, the animals that no one else stands up to defend, the animals the no one else seems to place value in. A large, large number of trafficked persons have a previous history of sexual abuse and dysfunctional environments… they are the discarded ones of our communities. Traffickers have been known to choose individuals from every race, socioeconomic status and background. The statistics are still true however that minorities thwarted by racial prejudice, girls living in poverty and those in abusive homes are far more likely to be “picked up” by a pimp. Traffickers search and scour for wounded children, teens and young adults who will be easy targets. Just like a vulture, circling from above at the scent of death, pimps keep a close distance as they watch for the pivotal moment of weakness… then the feasting begins. Imagine one of these hideous dark birds landing close by a young girl who is spending her first night on the streets after fleeing the fist of her drunken step-father. The bird hops closer, as a pimp would initiate contact and build a friendship– maybe even a dating relationship. However, once the “pimp bird” affirms how wounded the girl’s spirit is, there’s no more need for pleasantries. He dives right in with his sharp beak, tearing the flesh of the girls soul apart with more abuse and manipulation. If traffickers are savvy enough to tell who the “least of these” are and able to get close enough to take them under their wings, then why can’t we? People keep asking, what can we do to end trafficking? 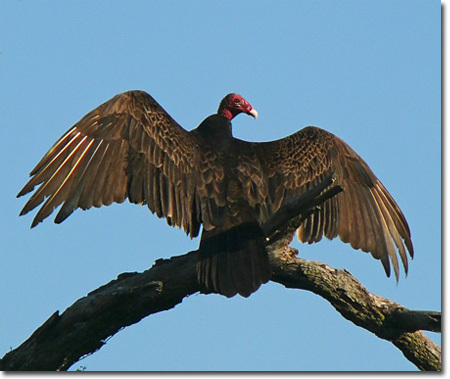 Find the wounded and care for them before a vulture does- that’s what we can do! This is one of the best possible prevention methods. Let’s be proactive. If we were to do a better job as the church and as the community holding umbrellas over those who need them most, we could cut a trafficker’s plan off at the knees. Don’t let the vultures win.